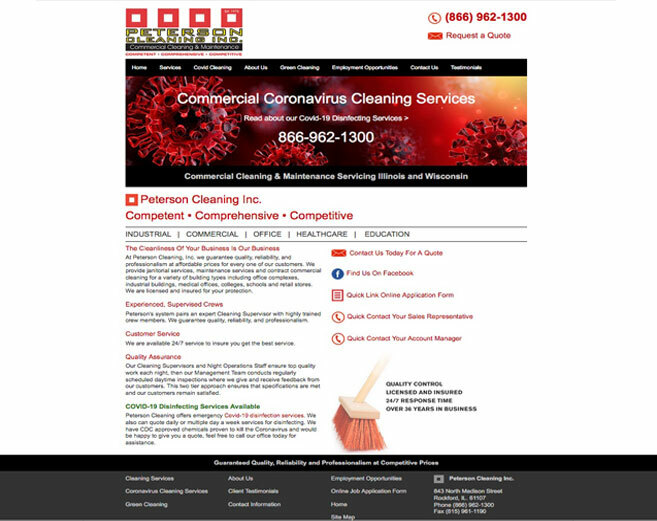 Designed responsive website for Peterson Cleaning, Inc. The site was designed to resize for various viewing screen sizes. Information and basic design elements were taken from the client’s existing website and incorporated into the new user friendly site. The responsive website was developed to make it easier to use for smart phone users, complete with auto calling button feature that allows direct dialing from the web site page.